When Albert Einstein was making the rounds of the speaker's circuit, he usually found himself eagerly longing to get back to his laboratory work. One night as they were driving to yet another rubber-chicken dinner, Einstein mentioned to his chauffeur (a man who somewhat resembled Einstein in looks & manner) that he was tired of speechmaking. "I have an idea, boss," his chauffeur said. "I've heard you give this speech so many times. I'll bet I could give it for you." 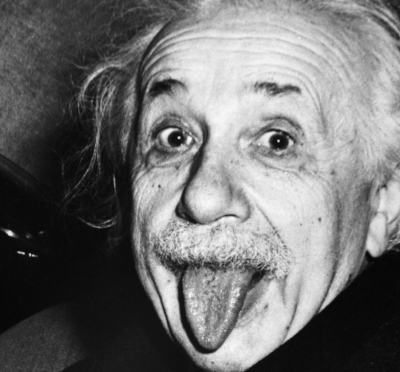 Einstein laughed loudly and said, "Why not? Let's do it!" When they arrived at the dinner, Einstein donned the chauffeur's cap and jacket and sat in the back of the room. The chauffeur gave a beautiful rendition of Einstein's speech and even answered a few questions expertly.